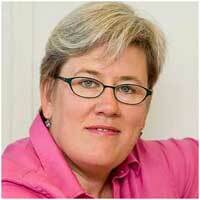 *Interview with Rachel Kyte, Chief Executive Officer of Sustainable Energy for All, and Special Representative of the UN Secretary-General for Sustainable Energy for All. She was also the World Bank Group Vice President and Special Envoy for Climate Change, leading the Bank Group’s efforts to campaign for the Paris Agreement. UNITED NATIONS, Dec 6 2018 (IPS) - The cost of renewable energy is low, and at times, less than fossil fuels. What are the barriers to switching to renewables? Where current energy systems exist, they will need to be upgraded to be able to draw power from modern renewables and to exploit storage solutions that they require. The institutions and mindsets of current systems are still comfortable with the systems of the past, those that prioritized fossil fuels in centralized grid systems. The revolution of renewable energy is not just that it’s clean, but that it can be delivered both through the grid as well as decentralized solutions, allowing it to reach those who have never enjoyed access to reliable and affordable energy before. Yet this change requires political leadership and policy certainty for the levels of investment needed, and we need that renewable investment now. Q: The recent Cooling for All report highlighted an issue many people didn’t speak of until recently. How does it relate to climate? A: As the world warms and populations rapidly grow, particularly in the cities of the developing world, we risk creating ‘heat islands’ that could substantially increase energy demands as people seek cooling access for their own health and safety, as well as the safety of medical supplies, fresh food and safe work environments. At the same time, if we rely on today’s cooling technologies that use high hydroflourocarbons (HFCs) in air conditioning, we will exasperate climate impacts from a growing use of short-lived climate pollutants. In policy terms, providing everyone with access to the sustainable cooling they need, is the opportunity at the intersections of the Sustainable Development Goals, Paris Agreement and the Kigali Amendment. In human terms, finding a way to provide hyper efficient pollutant free cooling for people, their vaccines and food is about making sure we leave no one behind. While the Paris Agreement reached almost universal ratification in record time, we now need member states to move with the same swiftness and determination to ratify the Montreal Protocol’s Kigali Amendment. Q: Can governments, businesses and communities that embrace clean energy solutions survive economically, and where do you see the greatest impact of green energy solutions? A: The scientific evidence presented in the IPCC report means that all governments, through meeting their fundamental responsibilities in providing a duty of care to their citizens, need to ensure that aggressive and comprehensive policies are in place to speed energy transitions towards clean, affordable and reliable energy for all. For business, being able to be on the leading edge of this transition means being positioned for profitability, success in attracting and retaining talent, and ensuring that inevitable regulation – and in some cases litigation – is a risk that is understood and well managed. All businesses must regard carbon as a toxin which needs to be avoided, mitigated and managed to not only support climate action, but help ensure their business is resilient to the ever-growing impacts of climate change. Q: Can we realistically meet the needs of the just under 1 billion people who don’t have regular access to electricity through renewable energy? A: Yes. As an immediate step, we all have to be much more efficient in our use of energy. We can provide for many more needs with much less energy through technological innovation and business models. Renewable energy gives us a cost-effective way to meet the needs of those who have never had energy before to help them become economically productive. By putting the needs of the last mile first, we can build decentralized, digitalized and decarbonized energy systems that meet everyone’s needs. This is not beyond human ingenuity – the cost is estimated at just over US$50 billion a year. Yet it requires political will and determination. When we consider that US$50 billion leaves the African continent through illegal financial flows, money laundering and tax evasion each year, we must work harder to ensure that the energy needs of these vulnerable populations – women, children, remote rural populations – can be met. Q: How can we support low-income countries when it comes to innovation and strengthening infrastructure that allow for modern technology approaches? A: First, we need to support countries put in place robust policy frameworks and investment climates that will spur both domestic investment as well as attract international investment. Secondly, development finance, in partnership with these countries, has to be directed to meet the needs of the most vulnerable. Our recent Energizing Finance report clearly shows that finance is still not reaching the top 20 countries with the largest electricity and clean cooking access gaps – dramatically slowing down progress to meet global energy goals and our promise to these populations. Thirdly, we need specific initiatives that provide energy to the growing number of displaced people around the world. Finally, the 3 billion that don’t have access to clean cooking deserve an urgent response from the international community at scale that connects industries around different fuel sources with new financial innovation that means the billions of women living on low incomes have a range of clean fuel choices, as opposed to the dangerous choice to cook a family meal while putting their health and the health of their children at risk. *The interview is part of an editorial package from the SDG Media Compact and released by the UN’s Department of Public Information.